I was so excited yesterday when i came home from work to find that a few of my packages had arrived. Most of them as is the case this time of year were christmas presents for my family but between them all was this little cute package from elf. I took advantage of the 50% off deal they had going at the beginning of the week to pick up some stuff that i have wanted to try for a while now and i am so excited to try them out and share my thoughts with you guys down the line. I have been wanting to try this elf mineral face primer for a while now but for some reason i just haven't picked it up. I have heard that its a dupe for the lancome primer and if this is the case i might have found a new fav primer since it is normally only £6 and i got it for £3. I also brought my favourite blusher as a backup since the one i am currently using is running out and i always have to have a backup for some reason. The concealer pallet is another new thing i want to try out since i only use mac concealers and they can be quite pricey, i wanted to see if i could find a drug store one that i love and is just as good. What do you guys think of my haul. Are there any products that you have been loving that i should out? 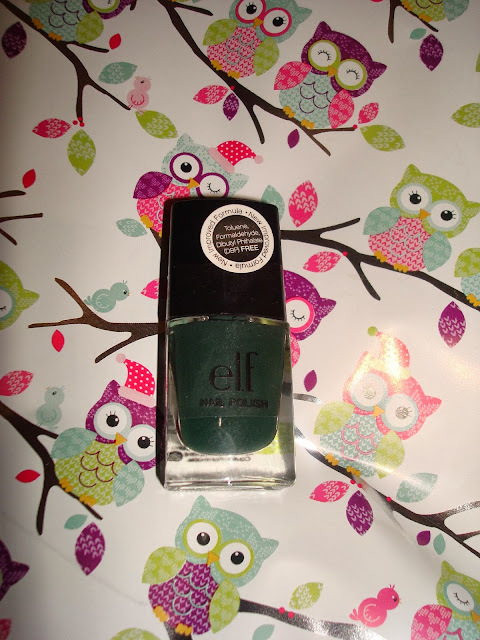 Leave a comment telling my of your favourite elf product of you have ever tried the brand. I'm obsessed with ELF. I always stock up on the £1.50 brushes - amazing quality. If you haven't tried yet, the contouring kit and studio lipsticks are definitely musts!